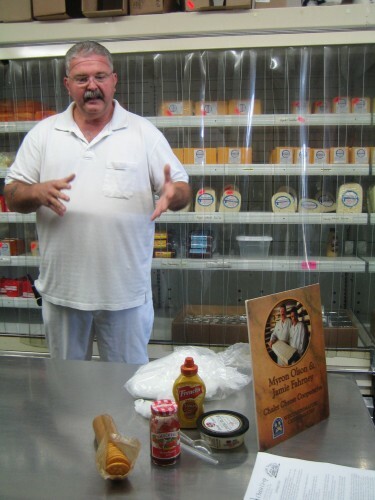 All I knew about Limburger cheese before my visit to the Chalet Cheese Coop in Green County revolved around the antics of the Stinky Cheese Man in the children’s book by Jon Scieszka. Turns out that’s only a part of the story behind this mysterious (to my generation) cheese. 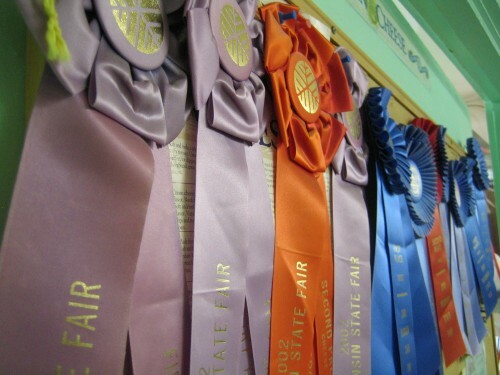 Chalet Cheese is a farmer-owned coop that was founded in 1885. 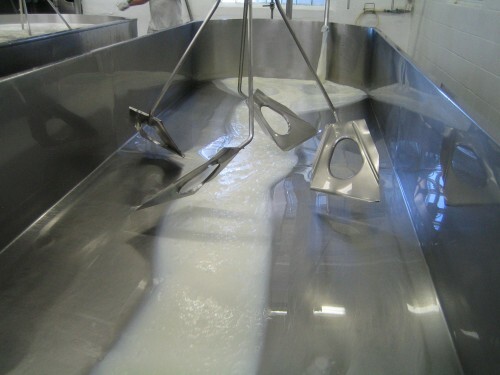 They are the only U.S. producer of Limburger cheese, made with the same culture they used 120 years ago. 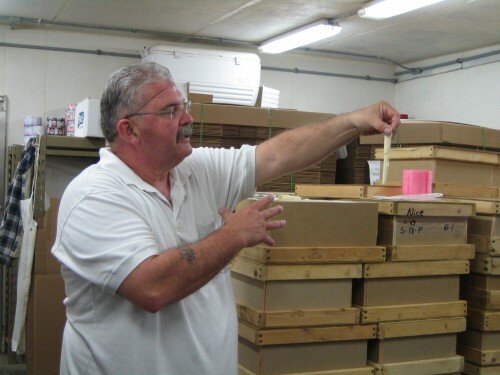 To make a long story short, Limburger has always been a sort of “poor man’s” cheese, and its pungent aroma and snappy flavor fell out of favor over the years as its customer base aged. The WI Cheese Tour was the first time I was ever in the presence of Limburger, and I found it to be surprisingly tasty, especially in spreadable form. The traditional way of eating Limburger is on rye bread, and some fans add a dollop of sweet jam while others add a squirt of spicy brown mustard. I tried the jam and found the sweetness a good complement to the slight bite of the cheese. In truth, I’m not a big fan of rye and I may have enjoyed a nice French bread crostini more. My favorite cheese of Chalet’s was their Swiss, which had the most intriguing texture, or, “mouthfeel,” if you’re speaking in wino terms. They also make Baby Swiss, Smoked Swiss, and Brick cheeses, all using milk from farms in the Green County area. 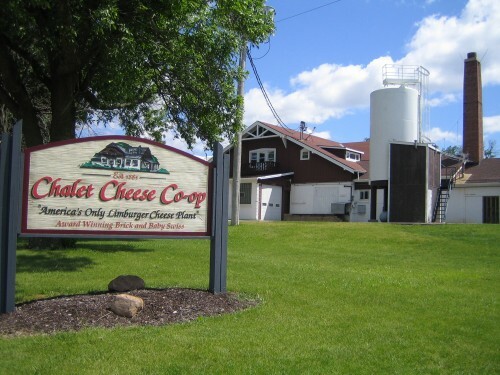 This entry was posted in WI Cheese Tour and tagged Chalet Cheese Coop, cheese, Green County, Limburger, WI Milk Marketing, Wisconsin. Bookmark the permalink.